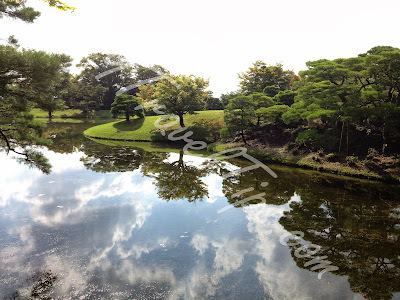 Shugakuin Imperial Villa (修學院離宮) was originally a temple that was later transferred to the Imperial Household Agency and given its current name. 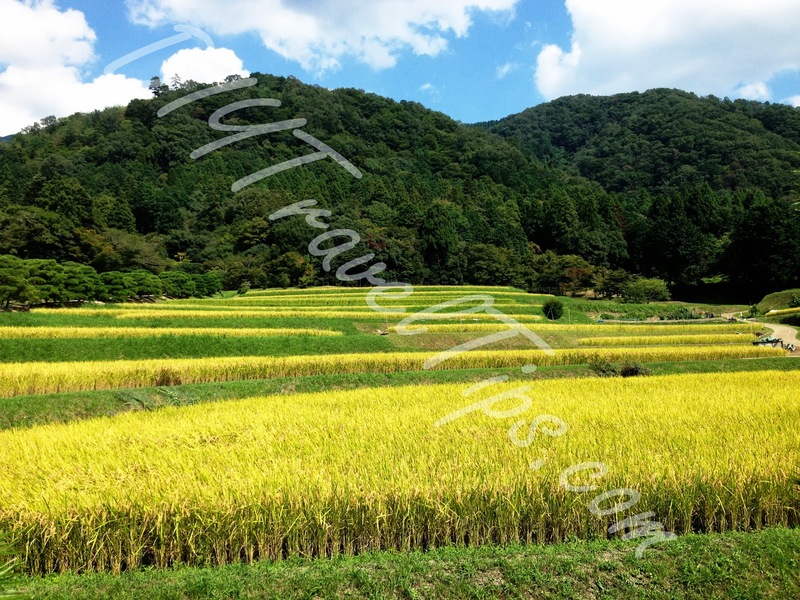 Paddy fields and farmland were later added to preserve the scenic beauty. You can still see these sights till today. The Shugakuin Villa is located in the northern part of Kyoto. 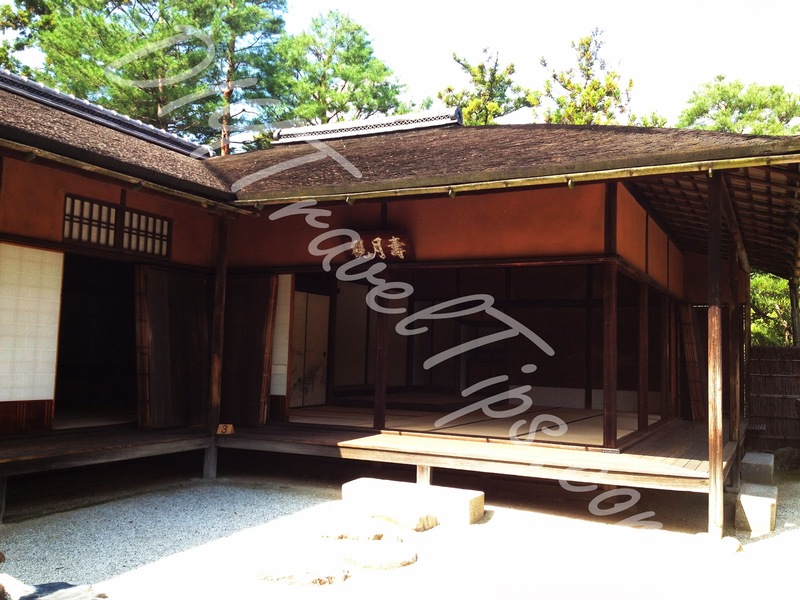 You can only visit the Villa via guided tours held by the Imperial Household Agency. Good news is the tour is free. Although it is conducted in Japanese, the registration counter staff offered us an audio guide in English. You can refer to my other post on submitting applications and reaching the Imperial Household Agency. It is best to book your slot early for the guided tours as they run out fast. The time slots are open for booking about three months in advance. However, even if the online slots are booked out, you can still try your luck by going down to the Imperial Household Agency in person. I was able to get my permit to visit the Villa for the same day I went down to the Agency. If you also intend to visit the Kyoto Imperial Palace, Sento Imperial Palace or Katsura Imperial Villa on the same day, you can take a look at my post for a quick itinerary suggestion. For reference, I visited the Kyoto Palace and Shugakuin Villa on the same day. While I enjoy sharing my experiences, I also suggest you do more research on the place you will be going. Please refer to the usual disclaimer. 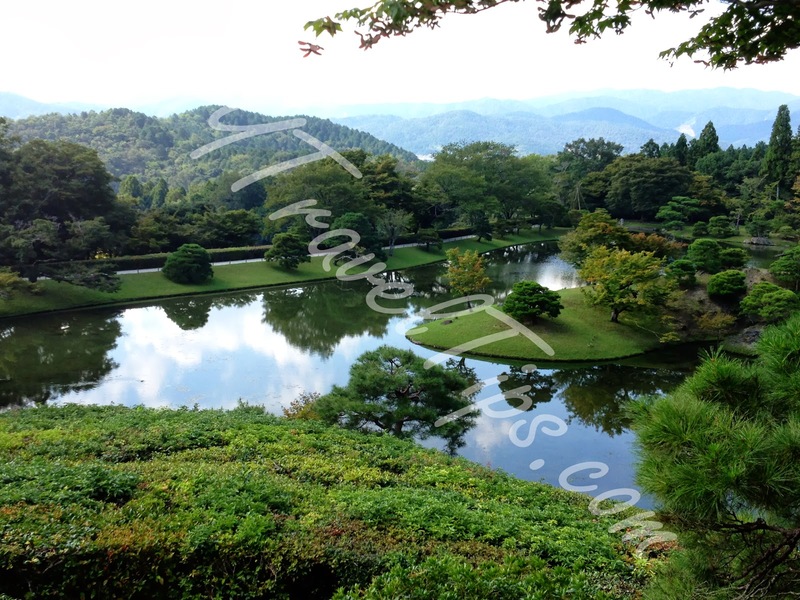 The Villa is a little out of way from other usual places of interest in Kyoto and so reaching there can be a little challenging. Some people prefer to take cab directly, but if you are like me and wish to use the local way, then read on. 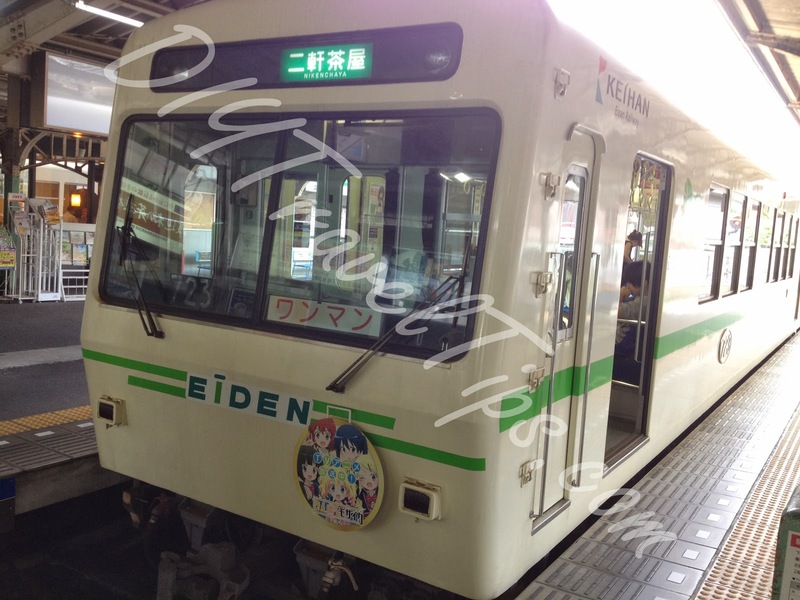 I took the Eizan railway as I went from Kyoto Palace. 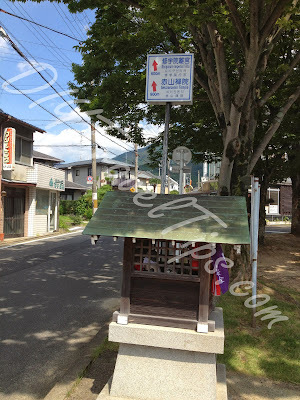 It was quite a walk to reach Demachiyanagi Station (出町柳). 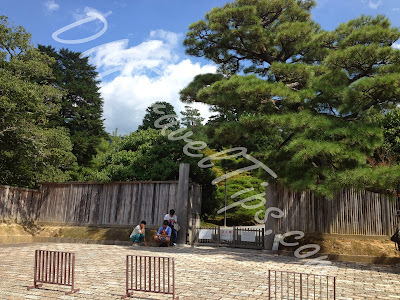 For your reference, I have mapped out the route that I took after finishing the Kyoto Palace tour and exiting via the Inui Gomon Gate (乾御門). Basically you will exit the gate (Green Marker) and walk towards the traffic junction in the direction of Imadegawa subway station (今出川). At the junction, turn right and continue walking straight till you cross a canal. 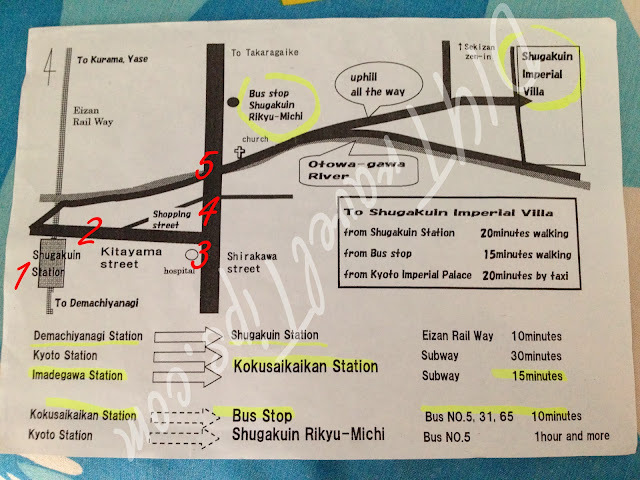 Demachiyanagi station (Yellow Marker) is nearby but take note that both Keihan Railway (京阪電車) and Eizan Railway (叡山電車) have their stations here. 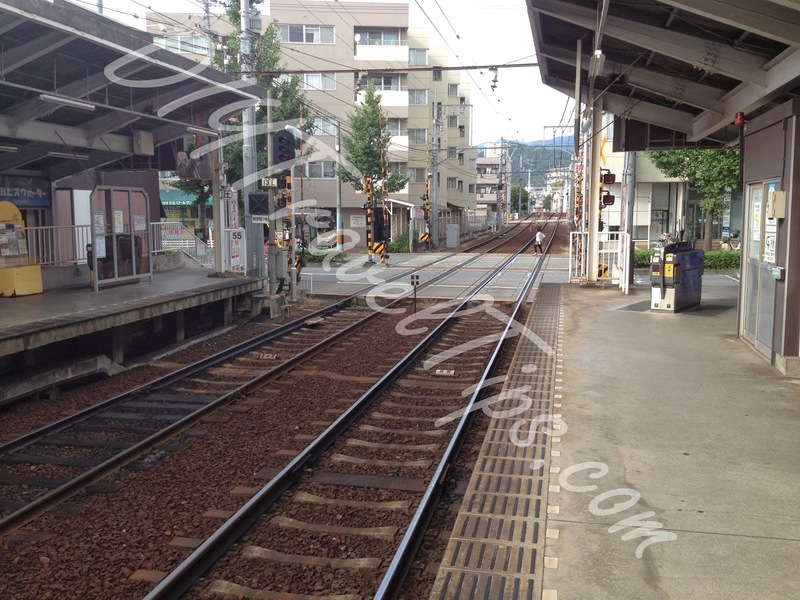 The first entrance on the left that you come to should belong to Keihan Railway. Walk past that and continue walking further in and you will reach Eizen Railway station. If you are lost, you can always go down to the Keihan Railway station counter and ask the friendly staff for directions. Below is a quick map to the Villa that I got from the Imperial Agency Household while submitting my application. You can get one by asking the counter staff there. Taking Bus No. 5 might be a good option if you have the Kyoto Day Bus Pass purchased but I believe part of the trip is not covered so you will still have to pay extra. Instead, I will discuss the route that I took from the Shugakuin Station. 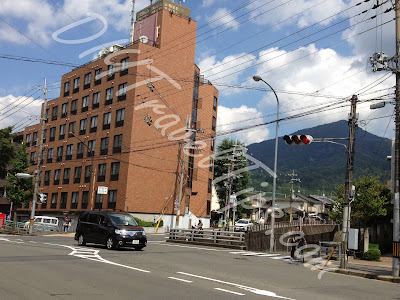 It may seem like a long walk, but in fact from Shugakuin Station (Number 1) to the cross junction (Number 5) is probably about 5 mins of leisurely walking. If you took a bus, you will also drop nearby the cross junction so I do not think there is a lot of difference between both options. 1. 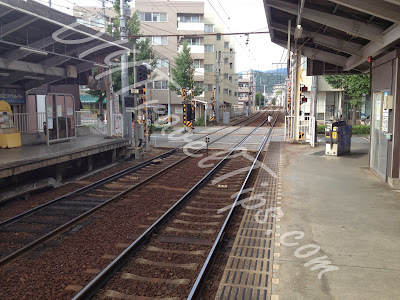 Shugakuin Station - this is where you will get off if you took Eizan Railway train. The fare is 200 yen per way. This is how the ticket looks like. The train you will be boarding looks like this. You board from the back and get off at the door in front nearest the train conductor. 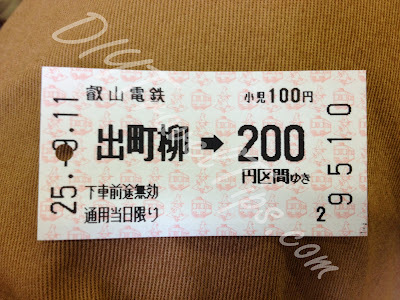 There is a ticketing machine beside the door where you will drop the ticket into upon exit. When you get off at Shugakuin Station, you will immediately notice it intersects with a road which is Kitayama Street. 2. Once you step out of the station, turn right and walk along Kitayama Street. 3. 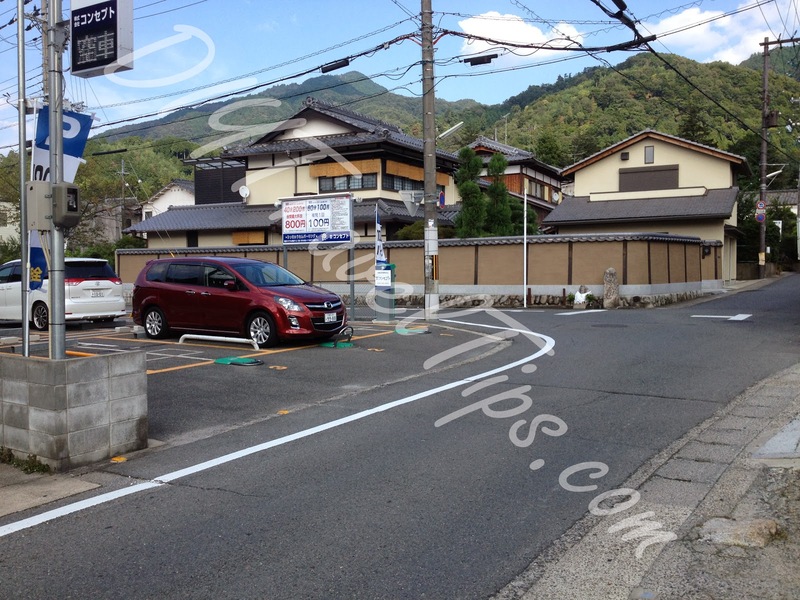 In less than one min walk, you will reach the cross junction between Kitayama Street and Shirakawa Street. Turn left here and cross the zebra crossing. Tip: The building with a green colour sign board is a convenience store. On the opposite side of the road, there is also another convenience store selling items at 105 yen (not in the picture but towards the left side where the zebra crossing leads to). 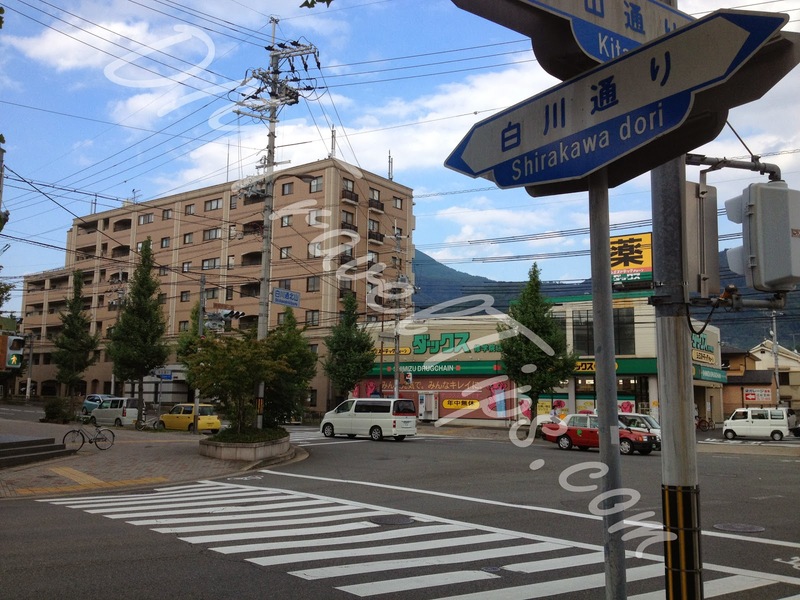 Between these two stores, all items are considerably lower than familiar chain stores like Family Mart or Lawson. We bought bottled soft drinks at the green sign store for less than 100 yen, some cup noodles and tidbits at the 105 yen store. If you have bought from Family Mart or Lawson before, you will know such items usually cost much more. You may want to consider restocking on your water supplies here before going to Shugakuin Villa. 4. 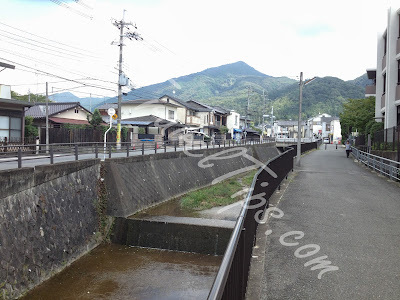 Continue walking along Shirakawa Street. Not far in front is a second traffic junction. Continue walking straight. 5. 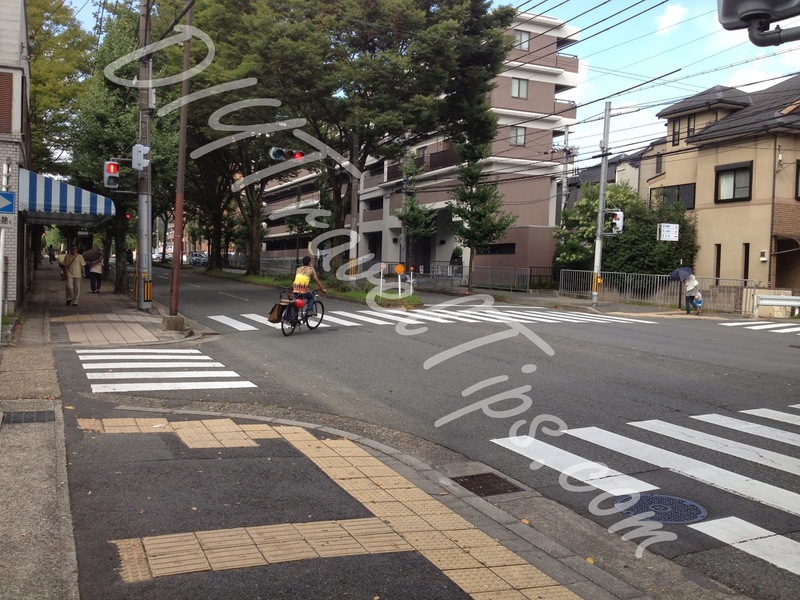 When you reach the third junction, you should see a brownish building. You can also see a canal beside it. The path beside the canal will lead to the Villa. 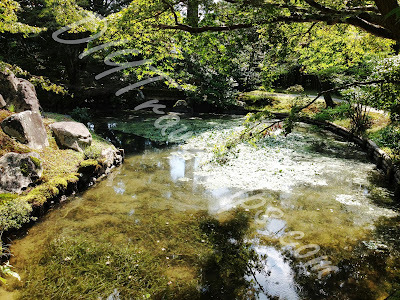 You will continue down the canal path like below. You should actually be on the left side of the canal. If you happen to walk in from the right like me, you can still cross to the other side further down the path. Soon you will come to a signboard like below with direction to Shugakuin Imperial Villa (修學院離宮). If you see this, then you are on the right track. The path in has a slight gradient so walking in will be a good warm up for the tour. It is mostly a straight path but whenever you see the path branch out, you should stick to the left. After some more walking (quite a distance), you will come to a car park of sorts. Again the path branches out here. But this time, you should continue walking straight i.e. take the right path. The Villa is not far from the car park. 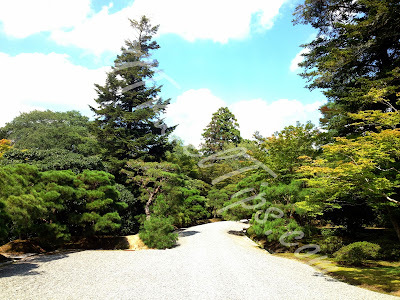 For a beautiful place like Shugakuin Villa, the entrance is actually quite plain. The entrance will be blocked with a sign saying that it will be opened to visitors with permit 15mins before the start of tour. So if you are early, just hang around. Not much shade though. 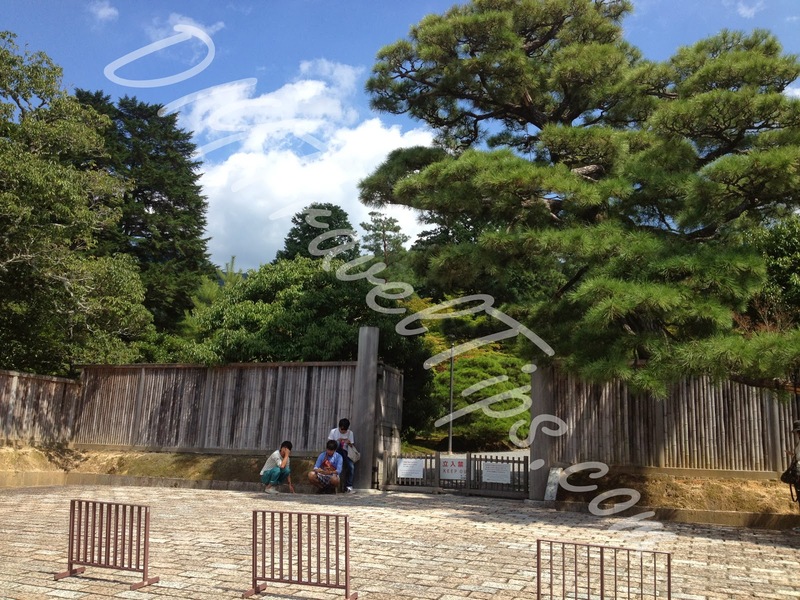 A staff (presumably from Imperial Household Agency) will be at the entrance welcoming visitors. He will require you to show the permit before directing you to a registration counter where you will need to show your passport. You can get brochures here in English or Chinese and audio guides in English only. After that, you will wait at the Waiting Room for the tour to start. Tip: There are coin lockers in the Waiting Room where you can deposit your stuff. It is 100 yen but refundable. I will highly recommend you to utilize the lockers as there will be lots of climbing during the tour and you would not want to bring unnecessary stuff other than water and camera. For my tour group, it seemed we were the only foreigners while the rest were Japanese. 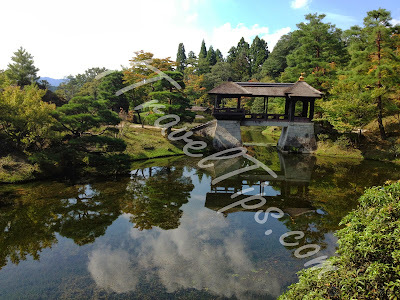 The leading tour guide spoke in Japanese but that did not stop us from admiring the sights, taking photos and generally enjoying ourselves. There was a staff behind the tour group to usher everyone and ensure no one was left behind. 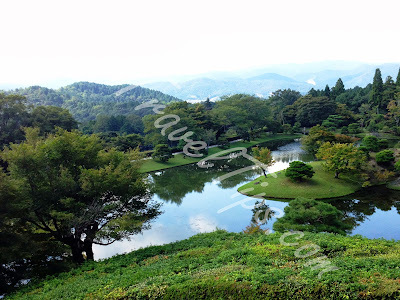 The above concludes the short guide to reach Shugakuin Villa. Below are some photos that I took. I hope you will be amazed by the sights to visit the place yourself. The tour should take about an hour. After which, you can make your way back the same direction. But this time, going back is easier since you are going down a slight gradient slope. 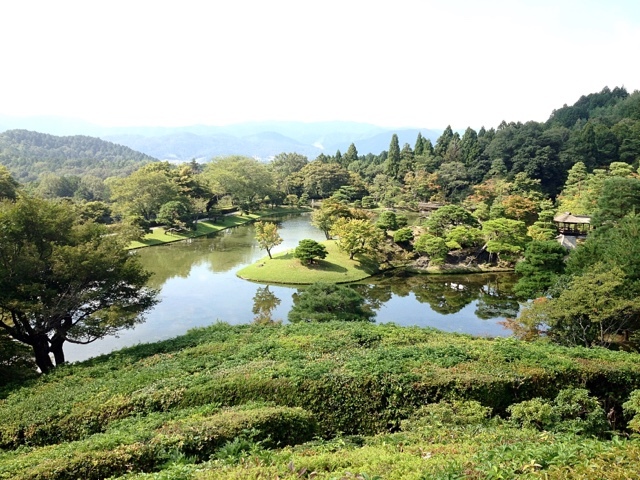 I must say the long trip to the Villa plus the climb up to the top is well worth especially when you get to the top and look down at the Yokuryuchi Pond. When I was there, it was towards the end of summer and weather was still very hot but we could see some of the trees were starting to turn into fall colours. I believe the place will be even more magnificent during autumn. 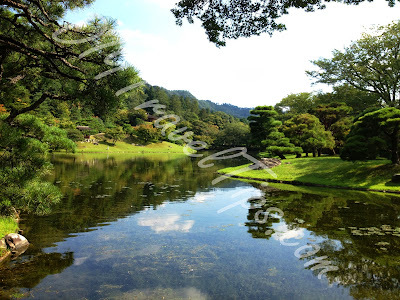 Words are simply not able to describe the scenery that we saw, so if you are going to Kyoto, definitely plan for a trip to Shugakuin Imperial Villa and experience it yourself!